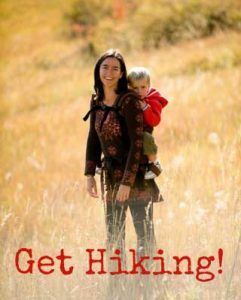 Incredibly light & compact, this is the perfect backup baby carrier! It even fits into its own hood's zipper pocket. 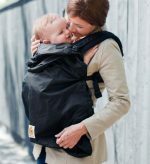 Great for quick trips while traveling or as a second carrier to keep in the glove compartment or diaper, the BobaAir is perfect for any carrier emergency! Please note that while the BobaAir is a buckle carrier, it does not have a padded waist belt. 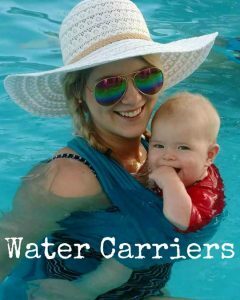 This carrier’s benefits are it’s amazingly compact size and lightness. 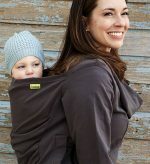 It offers less support and long-term comfort than the Boba Standard or Organic carriers. It’s also a lower price! The Boba Air is made with 100% nylon, making it both extremely durable and easy to clean. Shipping of Boba Products is only available within the USA. The Baby Guy reviews the Boba Air! I ordered the Boba Air Travel Carrier to use on our vacation to Palm Springs. We put our 1 year old granddaughter in it for the Thursday evening street fair...it worked out perfect! We didn't have to carry her or have her walk and get tramp...led on. She sat up high enough where she could see everything and it was very comfortable. It did take an extra person to help me get her in it and onto my back. Very impressed with Carry Me Away. Received item quickly with very nice packaging.